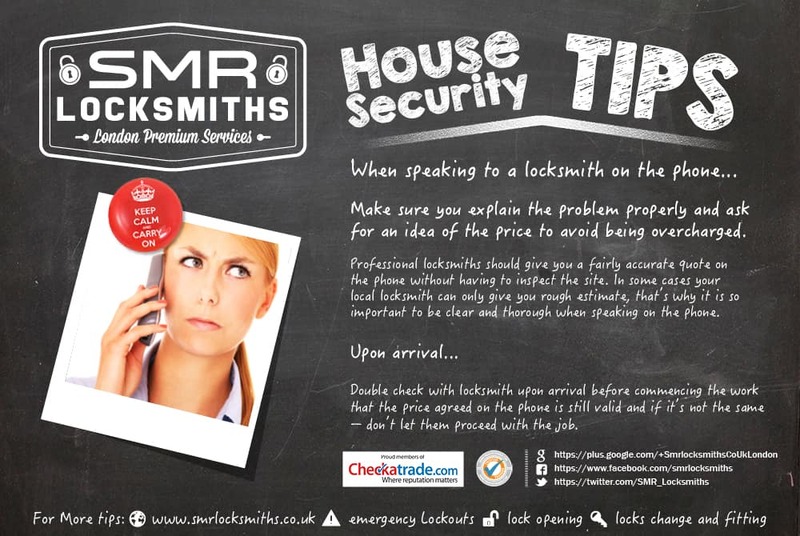 When speaking to a locksmith on the phone make sure you explain the problem properly and ask for an idea of the price to avoid being overcharged. Professional locksmiths should give you a fairly accurate quote on the phone without having to inspect the site. In some cases your local locksmith can only give you rough estimate, that’s why it is so important to be clear and thorough when speaking on the phone. Double check with locksmith upon arrival before commencing the work that the price agreed on the phone is still valid and if it’s not the same – don’t let them proceed with the job.